5mm thickness & specific for outdoor hiking footwear & running shoes with extra interior room. 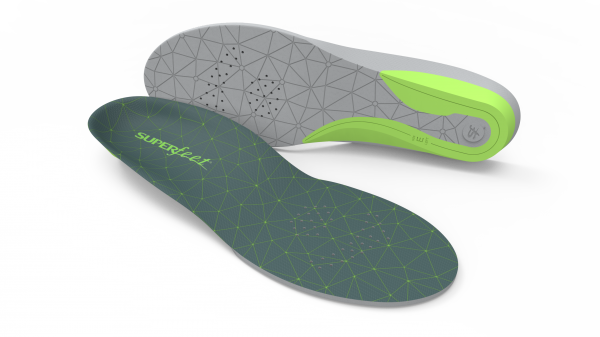 ● Helps position the soft tissue underneath the heel to help naturally absorb impact. ● The contoured shape helps stabilize and support the foot, which may help reduce stress on feet, ankles and knees. ● Durable viscoelastic closed-cell foam absorbs impact to deliver long-lasting comfort. ● Top layer delivers long lasting odor control.